Spring is finally easing its way down to our side of town and my calendar is filling up super fast. 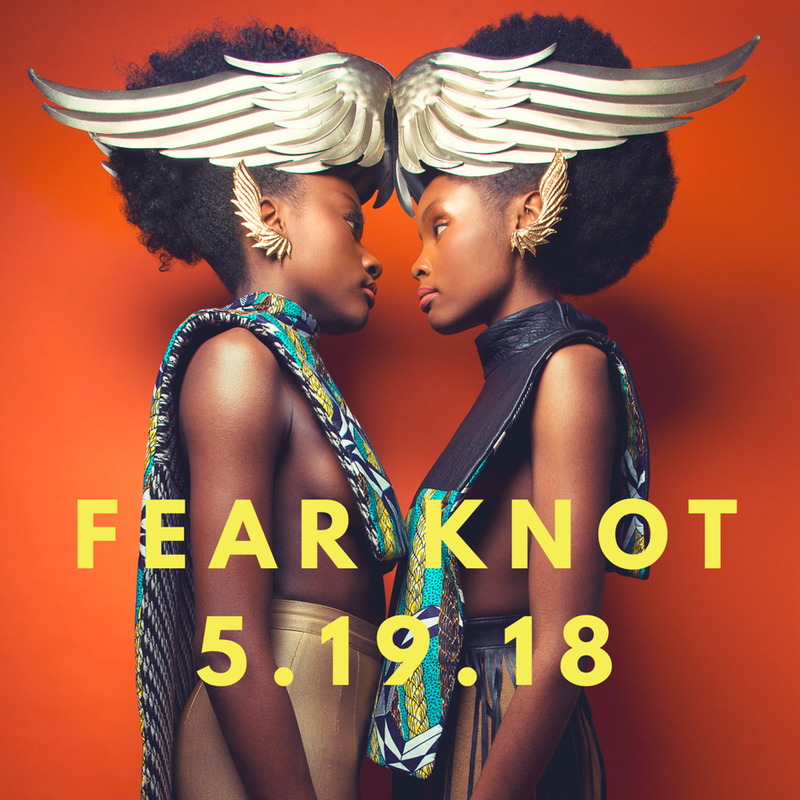 One event that I'm particularly proud to invite you to is Natural Hollywood's "Fear Knot" Natural Hair Fashion Show where I will be the stylist! "Fear Knot" is the official coffee table book debut for "Natural Hollywood Vol. 1". This Avant Garde natural hair fashion show and art exhibit will showcase striking beauties with textured towers and textiles wearing elegant designs including those of Tribal Groove, known for their gorgeous African prints. Paired with the sounds of both live music and DJ, your ears are sure to be satisfied. In celebration of this book release, Hair Stylist, Creative Director, Founder and now Author, Jennifer Lord curates a fantasy world of hair art and fashion, providing your eyes with powerful views like you've never experienced it before. Supporters of the kickstarter campaign in 2017, who purchased a book, will indulge in the first appearance of their own book as they touch it, feel it and smell it for the first time. Experience a spectrum of art medias while we toast to this major milestone for Natural Hollywood. Attendees of this event will have exclusive acess to pre sales for the book! A decorative display of lite fare will be provided and the wine will be plentiful. This is the event of the year. Arrive at Borough Hall in Brooklyn in your creative black tie attire, gowns, suits button ups and such are a must! Interviews with Style Stamped will take place on the red carpet from 3:00 pm and 3:45 pm. Special guest appearance TBA and most importantly, YOU are a part of the magic! We can''t wait to make history with you!